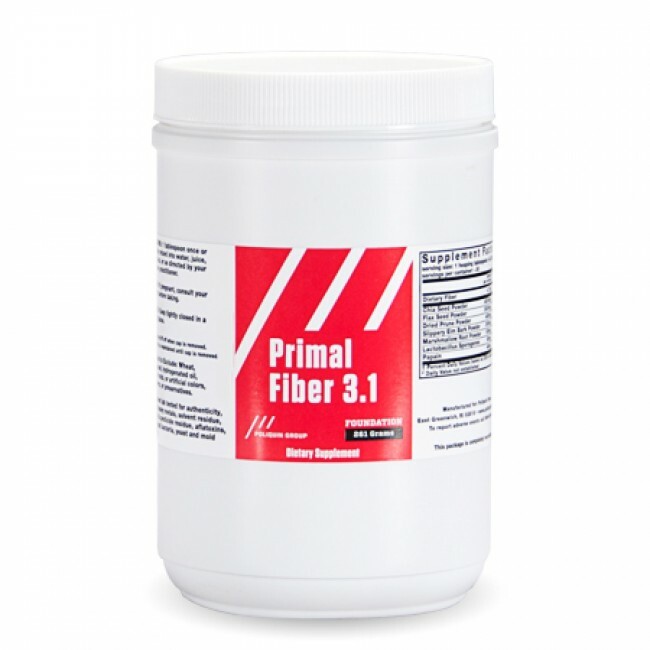 Primal Fiber 3.1 is a comprehensive blend of botanicals that naturally provide dietary fiber. By using whole plant powders, this formula is easy on the digestive system, relieves occasional constipation, and helps maintain intestinal flora. Chia seeds and flax seeds are nutritional power houses that contain lignans and alpha linolenic acid, an omega-3 fatty acid. Lactobacillus Sporogenes, a probiotic, and Papain, a digestive enzyme derived from papaya, are included in Primal Fiber 3.1 to promote healthy digestion. This is a vegan product.